Recent graduate of Belmont’s physical therapy program Barbara Parks recently completed a unique clinical experience. With a life-long love for horses, Parks began volunteering at a PATH (Professional Association of Therapeutic Horsemanship) International Premier Accredited Center after finishing her undergraduate degree. It was that opportunity that sparked her interest in physical therapy. Parks has been volunteering at Saddle Up!, a local hippotherapy facility, since she started PT school at Belmont. Hippotherapy is physical, occupational or speech therapy utilizing the movement of the horse as a treatment strategy. She completed her PATH therapeutic riding instructor training at Saddle Up! and worked as a substitute instructor during her 3rd year at Belmont. Thanks to Associate Professor of Physical Therapy & Director of Clinical Education Gail Bursch, a unique clinical experience was created for Parks to follow her dream. Knowing she wanted a clinical experience in hippotherapy, Parks partnered with Bursch to create an opportunity that would fulfill the requirements of a PT clinical site. Since Saddle Up! does not currently provide PT every day, Parks split her time between the organization and a second facility. In addition to working alongside children, Parks was able to focus her attention on learning how to rehabilitate her horses, too. 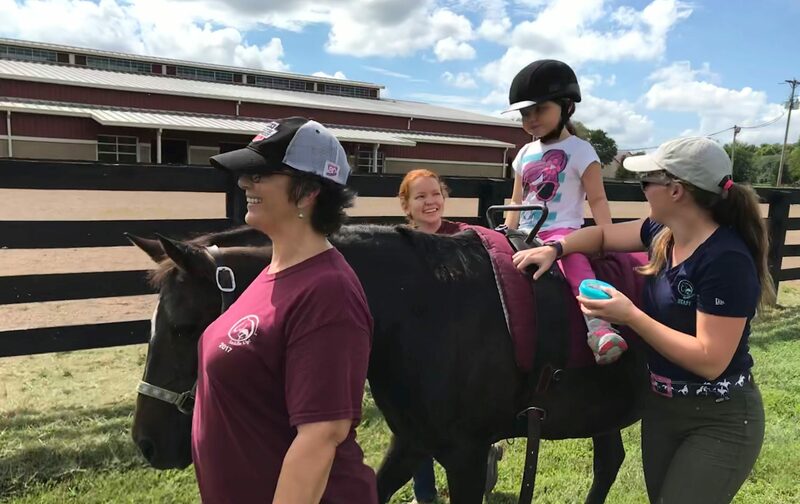 While at Belmont, she discovered the Certified Equine Rehabilitation Practitioner program offered through the veterinary school at UT Knoxville which certifies physical therapists and assistants, veterinarians and veterinarian technicians to apply PT principles to horses. The course consisted of a 60-hour online portion and a week-long, in-person lab at UT Knoxville’s campus. Thanks to her time on site, Parks will be joining the Saddle Up! team this fall as a physical therapist.